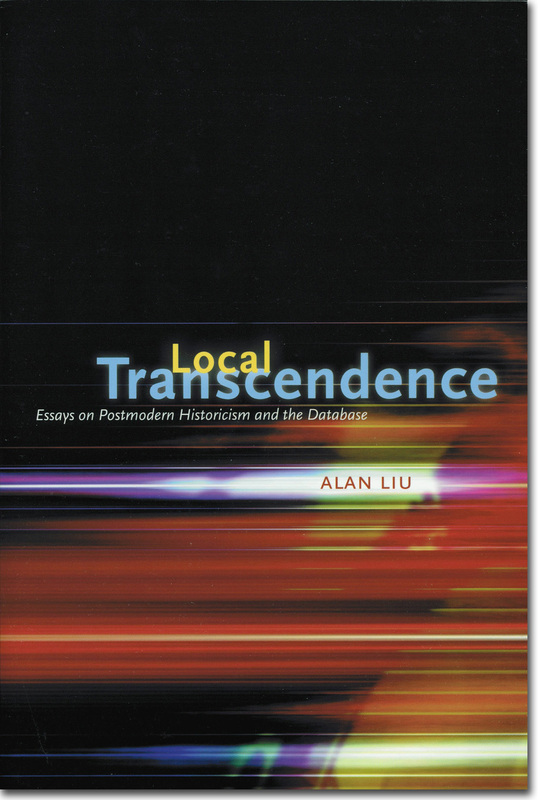 Citation: Local Transcendence: Essays on Postmodern Historicism and the Database. 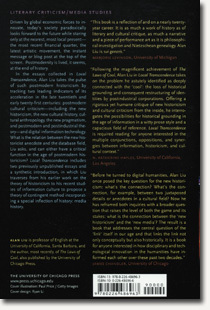 Chicago: University of Chicago Press, 2008. Driven by global economic forces to innovate, today’s society paradoxically looks forward to the future while staring only at the nearest, most local present–the most recent financial quarter, the latest artistic movement, the instant message or blog post at the top of the screen. 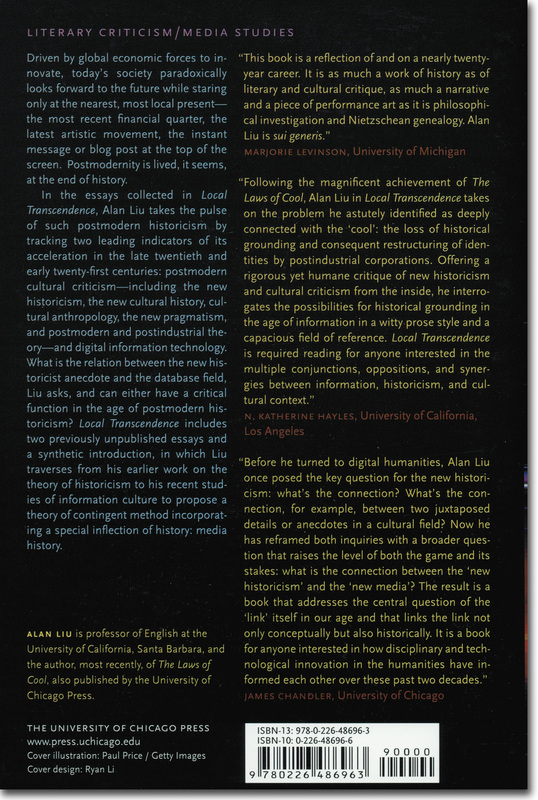 Postmodernity is lived, it seems, at the end of history. 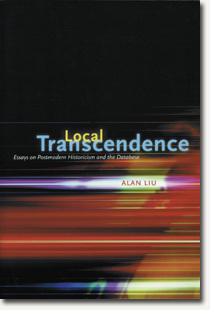 In the essays collected in Local Transcendence, Alan Liu takes the pulse of such postmodern historicism by tracking two leading indicators of its acceleration in the late twentieth and early twenty-first centuries: postmodern cultural criticism–including the new historicism, the new cultural history, cultural anthropology, the new pragmatism, and postmodern and postindustrial theory–and digital information technology. 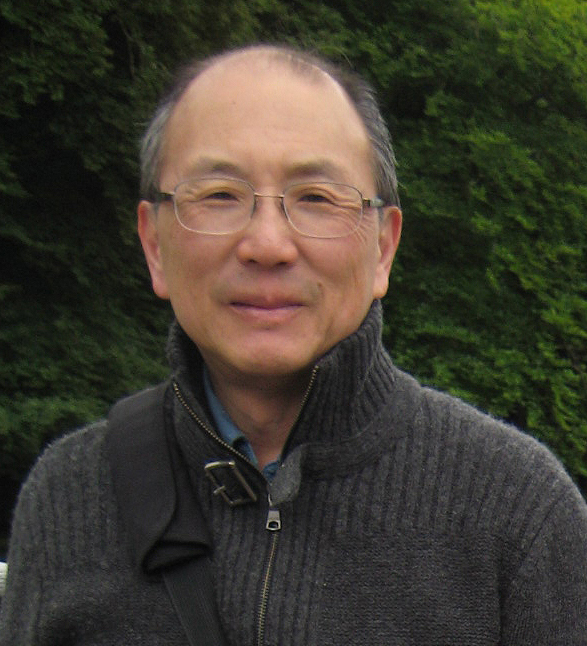 What is the relation between the new historicist anecdote and the database field, Liu asks, and can either have a critical function in the age of postmodern historicism? 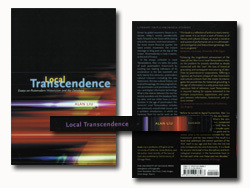 Local Transcendence includes two previously unpublished essays and a synthetic introduction, in which Liu traverses from his earlier work on the theory of historicism to his recent studies of information culture to propose a theory of contingent method incorporating a special inflection of history: media history.